Forklifts come in many shapes, sizes and models. But if there's one thing every forklift has in common, it's a need for adequate ventilation. Without it, any kind of forklift can be hazardous. Exhaust from fuel-burning cars contains carbon monoxide, a poisonous gas that's very difficult to detect. It's both colorless and odorless, so the only clue a person may have that carbon monoxide is present in an area is his or her physical reaction to it. Symptoms of carbon monoxide exposure include dizziness, headaches, nausea and lightheadedness. If any of your employees complain of these symptoms, take them seriously and look for the cause. Ventilation in your warehouse is essential for safety. Workers are exposed to carbon monoxide every year, which can result in hospitalization, days away from work or even death. In 2017, the Occupational Safety and Health Administration recorded 19 incidents related to carbon monoxide poisoning, two of which involved powered industrial trucks. Building ventilation is key to preventing carbon monoxide poisoning in enclosed areas where fuel-powered forklifts are used. As recommended by the Washington State Department of Labor and Industries, one 60-horsepower propane forklift should have 5,000 cubic feet per minute of ventilation dilution. This assumes that a single forklift is only used for about half the working day, and emissions aren't more than 1 percent. In many cases, carbon monoxide emissions can be much higher, as much as 10 percent, particularly if the lift trucks aren't properly maintained, according to Occupational Health & Safety. Operate multiple trucks at once. Have trucks with more than 60 horsepower. Use trucks for more than 50 percent of the day. Think your trucks need maintenance. 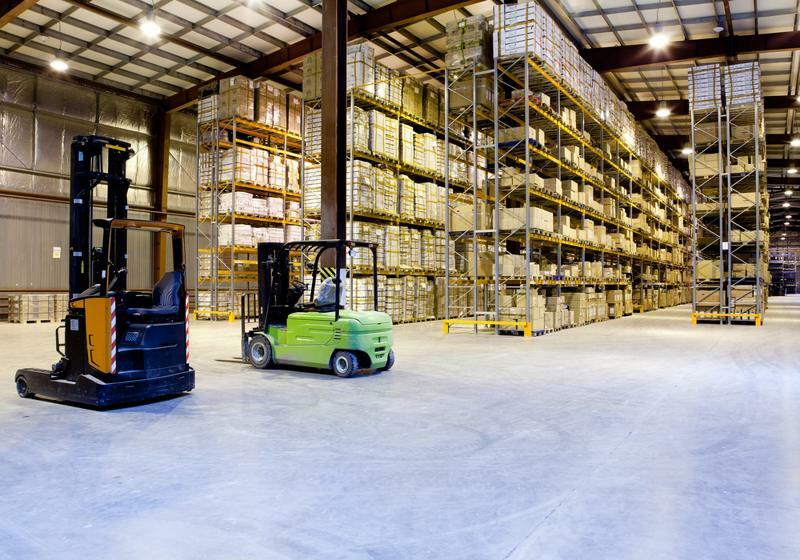 Electric forklifts are a great way to avoid carbon monoxide concerns, but there are also ventilation requirements that facility managers need to know when working with these lift trucks. In this case, the ventilation requirements pertain to the battery charging station. When batteries charge, they emit hydrogen gas, which is highly flammable, according to OSHA. As the battery nears the end of its charging cycle, its hydrogen emissions increase. Ventilation reduces the risk of fire or explosion. Prohibiting smoking near the battery charging station (and posting signs to reinforce this message). Banning sparking tools from the space around the charging station. Preventing open flames, sparks or electrical arcs. Opening the battery cover, which will allow the hydrogen gas to vent away from the battery itself. Whether your facility's ventilation system is designed to keep carbon monoxide levels low or prevent the buildup of hydrogen gas, it's important to continuously ensure the system is working properly. There are many hazards that can come about if ventilation is inadequate. When you work with National Maintenance Services, a skilled and trained technician can review your ventilation system and determine if further adjustments need to be made. Additionally, your technician can inspect and tune your forklifts to limit carbon monoxide emissions, help maintain batteries and keep your charging station safe. To learn more about working with NMS technicians, get in touch with us today.